Dingle Donkey, originally uploaded by Peyton Lea. 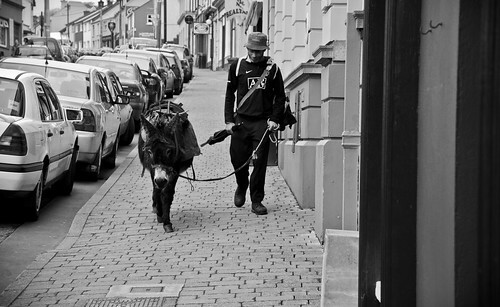 A man walking his donkey through the streets of Dingle, Ireland. This was taken during the week and a half that my parents came to visit me in Ireland. Bye for now. ~ by Peyton Lea on June 2, 2009.